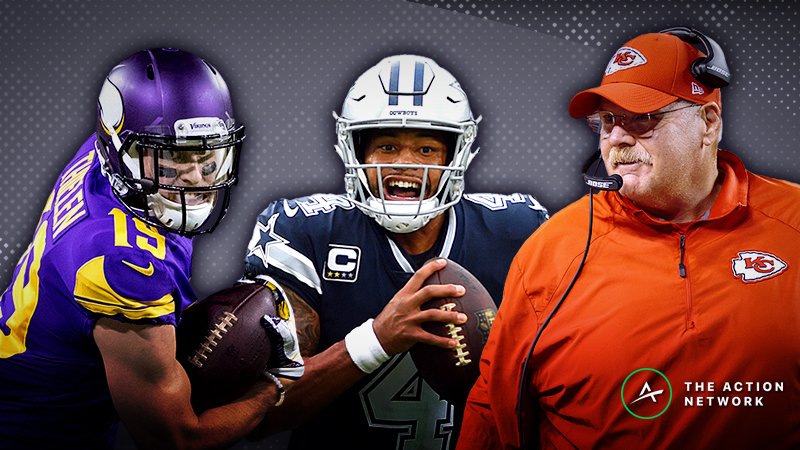 The 2018 NFL season is still on pace for a record-breaking campaign with an average of 24.1 points per game per team. The action continues with a 10-game main slate that kicks off on Sunday at 1 p.m. ET. In this positional breakdown, I’m looking at the tight ends at the top of the individual Pro Models that Jonathan Bales, Peter Jennings (CSURAM88), Adam Levitan, Sean Koerner, Chris Raybon, Kevin McClelland (SportsGeek) and I have constructed. 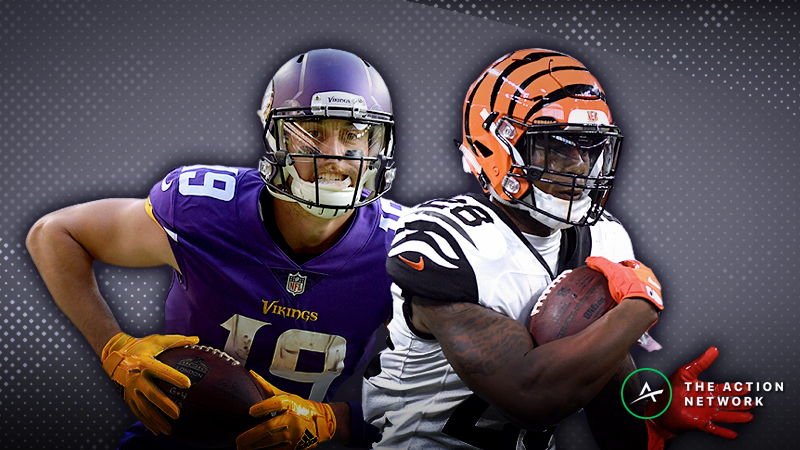 If you want more information on the rest of this week’s tight ends, subscribe to FantasyLabs, where you can access the large suite of analytical DFS tools I use to research every player. There are five tight ends at the top of our individual Pro Models this week. UPDATE (11/18): Right tackle Lane Johnson (knee) is probable. Running back Darren Sproles (hamstring) is out. Saints defensive end Marcus Davenport (toe) is out. The spread opened at -9 but has since moved toward the Eagles even though they have gotten only 39% of the tickets as of writing (see live data here), which means that the Eagles are on the right side of reverse line movement. Translation: There’s significant sharp money on them. On the Wednesday edition of The Action Network NFL Podcast, we talked about Ertz as a cash-game play. Relative to the slate’s other options, Ertz is in a tier of his own. With apologies to Rob Gronkowski and Travis Kelce, Ertz is the best tight end in the league right now. Among all players (not just tight ends), Ertz is sixth in the league with 100 targets. He’s third with 75 receptions. He’s top-six with 17 red-zone targets. He’s the team leader with 789 yards receiving, 746 air yards and five touchdowns and second with 219 yards after the catch. Ertz leads all tight ends with 16.3 FanDuel points per game. He’s the modern-day prototype, capable of playing snaps inline (269), in the slot (251) and out wide (83). Even with the return of No. 1 wide receiver Alshon Jeffery in Week 4, Ertz has dominated the team’s aerial usage. In truth, he’s the team’s clear top receiving option. It’s possible that wide receiver Golden Tate could eventually steal slot targets from Ertz once Tate becomes a more consistent contributor within the offense, but he’s been on the team since only Week 9, and in his Eagles’ debut last week he played just 18 offensive snaps and ran only 15 routes. He’s unlikely to impact Ertz’s target volume anytime soon. Ertz theoretically has a poor matchup against the Saints, who have held tight ends to a bottom-five mark of 7.0 FanDuel points per game. After all, they are the No. 1 team in The Action Network Power Rankings. The Saints are fifth in pass defense against tight ends with their -26.5% mark in Football Outsiders’ DVOA. On top of that, it’s possible that the Saints have looked better at defending tight ends than they really are. They haven’t played a truly elite tight end this season, and on defense they have definite weaknesses. Kurt Coleman and Vonn Bell rotate at strong safety: They’ve allowed a 77.4% catch rate. Free safety Marcus Williams has allowed three touchdowns and seven receptions on the 11 targets in his coverage. A.J. Klein and Demario Davis are the team’s primary coverage linebackers: They’ve allowed a combined 84.4% completion rate. Without question, this defense can be exploited by a tight end. Not one person likely to spend more than a couple of snaps defending Ertz has a Pro Football Focus coverage grade of even 70. It’s less than ideal for the Eagles to be on the road, but there’s really no better place in the league to play than at the Mercedes-Benz Superdome, or the Coors Field of fantasy football. An incredibly fantasy-friendly venue, the Superdome has an A-graded 58-40-2 over/under record with quarterback Drew Brees, good for a 15.8% return on investment for over bettors since 2006, when Brees joined the Saints (per Bet Labs). 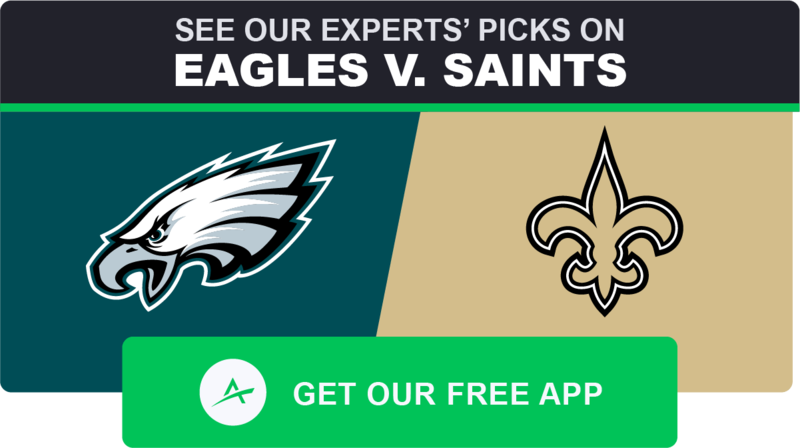 The Saints-Eagles game easily has the highest over/under on the slate. On Sunday morning, I might look to bet the over on Ertz’s yardage prop. The Saints are 28th with a 59.1 PFF coverage grade, and I expect a high-scoring, pass-heavy contest. To find the best bets in the props market, use our Player Props Tool, which is powered by our industry-leading projections. Since Week 1, the props with a bet quality of 10 have gone 183-87-7, good for a 66% win rate. 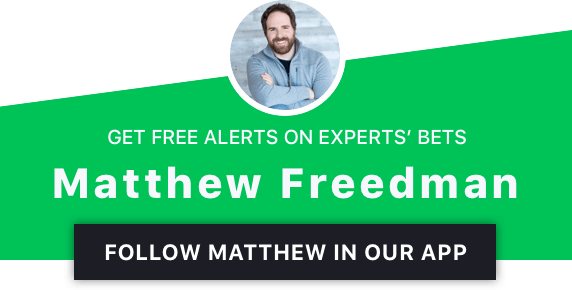 Without question, you should supplement your DFS action with player props. Ertz leads all tight ends with his median and ceiling projections on FanDuel, where he has a position-high 67% Bargain Rating and is the No. 1 option in the Levitan, Koerner and Freedman Models. UPDATE (11/18): Backup tight end Erik Swoope (knee) is out. Titans edge rusher Derrick Morgan (shoulder) is in. As absurd as this might sound, Ebron is the No. 2 fantasy tight end with 14.0 FanDuel points per game. From a salary-adjusted perspective, Ebron leads the position with a +7.16 FanDuel Plus/Minus. And after putting up 26.6 FanDuel points in Week 10, Ebron is now tied with wide receiver Antonio Brown among all non-running backs with a league-high 10 scrimmage touchdowns (nine receiving, one rushing). For the season, Ebron leads the Colts with 65 targets, 39 receptions, 463 yards receiving and 444 air yards. Of course, some of that production came with wide receiver T.Y. Hilton and tight end Jack Doyle out of the lineup, and both are now back. Ebron’s per-game usage splits based on Doyle’s availability are quite telling. Of course, usage is not always the same as production, and Ebron has amazingly been more productive with Doyle than without him. On the one hand, Ebron’s production is not sustainable. On the other hand — it might be sustainable, especially if the Colts start to use more sets with two tight ends, which they would be smart to do. But even if they don’t, Ebron could still produce, because he’s the tight end version of a high-end, early-2000s goal-line vulture back. Regardless of whether Doyle is active, when the Colts get near the end zone, they are clearly looking for Ebron, who even had a two-yard rushing touchdown last week. Ebron’s production might be a little fluky, but his high-leverage usage certainly is not. Ebron is first among all players (not just tight ends) with seven touchdowns on passes into the end zone. He trails only Brown with his 13 end-zone targets. He’s second with seven red-zone touchdowns (not counting his recent rushing score). And he’s top-eight with 16 red-zone targets. On top of that he’s being used as a downfield weapon. Ebron trails only Ertz and Kelce with his 444 air yards, and his 9.9-yard average depth of target (aDOT) suggests that he’s more of a big-bodied slot receiver and less of a tight end. And the numbers back that up. Of all fantasy-viable tight ends, Ebron has run a league-high 64.1% of his routes from the slot. He’s also lined up out wide on 13.4% of his snaps. Because of his goal-line usage alone, Ebron is in play for guaranteed prize pools. But his matchup is tough. Under former All-Pro linebacker and defensive-minded head coach Mike Vrabel, the Titans have held tight ends to a league-low 5.1 FanDuel points per game. The Titans have an imposing safety duo of All-Pro (and Deion Sanders fan) Kevin Byard and free-agent addition Kenny Vaccaro. They also have a strong duo of interior linebackers with stalwart Wesley Woodyard and first-rounder Rashaan Evans. In Week 4, Ertz had a 10-112-0 performance against the Titans on 14 targets. Besides him, not one tight end they’ve faced has scored more than 3.3 FanDuel points. The Titans are the only team in the league yet to allow a touchdown to a tight end. If Ebron can’t score a touchdown in this game, what is he good for? In general, the Titans are an undesirable team to play. They’re first in the league with just 16.8 points allowed per game. They’ve prevented opposing teams from hitting their implied totals an NFL-best seven times. And on a per-game basis, they’ve held opponents to a total that is a league-low 5.94 points below their Vegas-based expectations. I have my own personal doubts about the Titans’ defense-first formula for success, but to this point in the season no one can deny that their stop unit has been very good. This is a classic case of an unstoppable force meeting an immovable object. If you think that the guy who scores lots of touchdowns but does little else will actually hit pay dirt against the team with a tight end-repellent end zone, then roster him: We’re projecting Ebron for an ownership rate of less than 5%. If Ebron’s low snap, route and target numbers have you worried, then stay away. For what it’s worth, there’s a high non-zero chance that I’ll be betting on Ebron’s touchdown prop on Sunday. Ebron has a position-high eight Pro Trends on FanDuel, where he’s the No. 1 tight end in the CSURAM88 Model. Engram has been a massive disappointment this season. He had one of the greatest rookie seasons of all-time for a tight end in 2017, putting up a 64-722-6 receiving line on 115 targets. This season, he’s averaging just 5.2 targets per game. His 33.3% Consistency Rating on FanDuel is abhorrent. But this week Engram has the honor of facing perhaps the worst defense in the league. The Bucs have allowed a league-high 32.3 points per game, and they’re 28th in pass defense against tight ends (27.2% DVOA). They’ve allowed a top-two mark of 14.0 FanDuel points per game to the position. And to make matters worse, Tampa’s entire defense is the walking wounded. In the front seven, edge rusher Vinny Curry (ankle) has missed three of the past four games and has been ruled out. Defensive end Carl Nassib (elbow) suffered an injury in Week 10 and is uncertain to play. Middle linebacker Kwon Alexander (knee, IR) is out, as is backup middle linebacker Jack Cichy (ankle, IR). On top of that, weakside linebacker Lavonte David (knee) is dealing with a sprain: He’s out. In the secondary, cornerback Vernon Hargreaves (shoulder, IR) and strong safety Chris Conte (knee, IR) are out, as is rookie slot cornerback M.J. Stewart (leg), who exited Week 8 early and hasn’t played or practiced since. And after exiting Week 10 with an injury, free safety Justin Evans (toe) is also out. 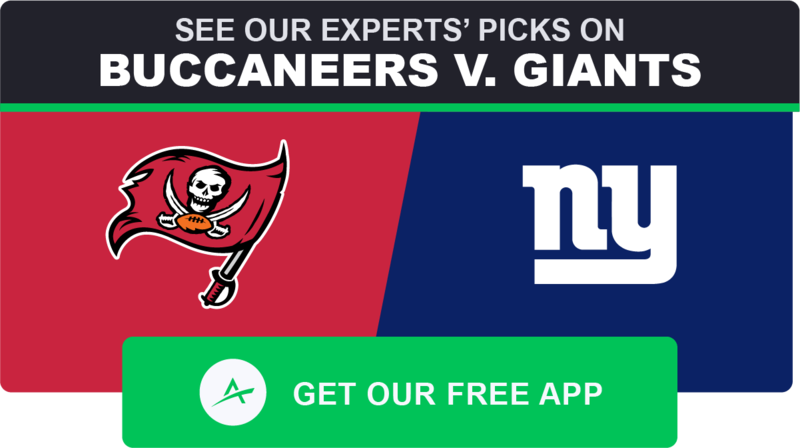 On top of that, the Giants-Bucs game has a week-high 81.55 pass funnel rating. This is a total smash spot. With their high-scoring offense and vulnerable defense, the Bucs have seen an NFL-high seven games hit the over this season. I’m betting this game makes it eight. 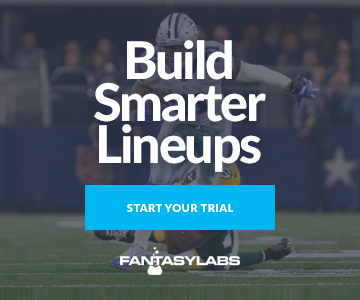 For guaranteed prize pools, you might want to use our Lineup Builder to stack Engram with quarterback Eli Manning, who is also popping in some of our Pro Models. With Manning, Engram has had a 0.51 correlation. When the Giants were last in the main slate in Week 8, Engram and Manning had a shared ownership rate of 0.13% in the Millionaire Maker. Engram is the No. 1 FanDuel tight end in the Bales and SportsGeek Models. UPDATE (11/18): Left guard Kelechi Osemele (knee) and center Rodney Hudson (ankle) are in. Cardinals safety Budda Baker (knee) is out. Safety Rudy Ford (heel) and defensive tackle Robert Nkemdiche (calf) are questionable. The case for Cook is simple: Their Raiders are without their three starting wide receivers. Amari Cooper is now on the Cowboys. Jordy Nelson (knee) is out. Martavis Bryant (knee) is out. Cook is pretty much the only offensive playmaker left on the Raiders. A mismatch nightmare as a big-bodied move tight end (6-foot-5, 246 pounds) with wide receiver speed (4.50-second 40 time), Cook is first on the team with 59 targets, 546 yards receiving and 550 air yards. He’s also first on the Raiders and top-five in the league among all players (including wide receivers and running backs) with nine targets inside the 10-yard line. Cook’s usage indicates that he’s a key part of Oakland’s aerial attack: He’s lined up in the slot and out wide on a respectable 39.1% of his snaps. The problem with Cook is that he’s notoriously inconsistent. He’s the No. 5 fantasy tight end on the season with 13.4 DraftKings points per game and a +3.99 Plus/Minus — but he has a 44.4% Consistency Rating. In two of his nine games, he’s scored at 30-plus DraftKings points. In three of them, he’s scored at least 17. But in the other six, he’s scored fewer than 10. In three of them, he’s scored no more than six points. Plus, Cook’s matchup isn’t great. 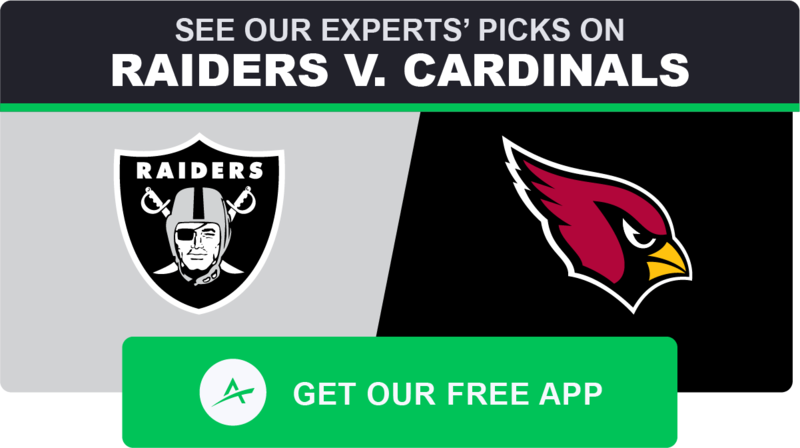 The Cardinals have held tight ends to a bottom-six mark of 9.3 DraftKings points per game. If Cook were a lock to see eight targets, the matchup probably wouldn’t matter, but he’s had eight-plus targets in only one-third of his games this season. In his six starts with fewer than eight targets, Cook has averaged just 3.5 receptions, 34 yards and 0.17 touchdowns per game. Additionally, the Raiders seem to be in full-on rebuild mode. They have a league-low two wins against the spread, and their -10.3 ATS margin is easily worse than that of any other team. Since waving the white flag on the season by trading away Cooper in Week 8, the league-worst 1-8 Raiders have averaged 12.3 points per game. It’s hard to roster a player on a team as bad as the Raiders. But if Cook gets his targets, he could be a GPP winner. He’s the No. 1 tight end for both DraftKings and FanDuel in the Raybon Model. UPDATE (11/18): Left tackle D.J. Humphries (knee) and left guard Mike Iupati (back) are questionable. Raiders cornerback Gareon Conley (groin) is questionable. Cornerback Daryl Worley (shoulder) is in. I can’t believe that two tight ends from this (intentionally misspelled) gawd-forsaeken gaem are popping in our Pro Models. That’s what happens when six teams are on bye and the position is thin. When not touring with his longtime band Ricky, Seals, Ros’n & Jones, the second-year undrafted wide receiver-turned-tight end occasionally makes plays in the NFL. While he’s done little to this point in his career, he’s a respectable second on the receiver-deficient Cardinals with 496 air yards and third with 48 targets. Amazingly, Seals-Jones is second only to the speedy and seldom-used J.J. Nelson with his 10.3 aDOT. The sample is small, but in two games under interim offensive coordinator Byron Leftwich, RSJ has averaged 6.5 targets, and in only one game this year has he had fewer than four targets. And maybe most importantly, the Raiders aren’t just 32nd in pass defense (39.4% DVOA). They’re also dead last in pass defense against tight ends (68.7%). For a punt play, RSJ is in about as good of a spot as one could want. With a top-three 97% Bargain Rating, RSJ is the No. 1 DraftKings tight end in every Pro Model except for one (Raybon).